The Small Snowshoe Rack by monkey bars allows you to store up to 3-pairs of snowshoes of various sizes and styles. 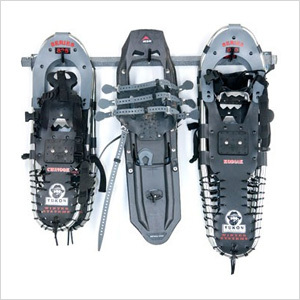 This Snowshoe Rack can be installed in about 15-minutes with 4-screws mounted into studs. 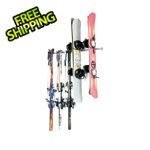 The Snowshoe Rack is great for the garage, shop, shed, closet, or storage room. 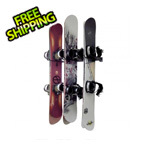 The Snowshoe Rack is made of powder coated industrial steel.